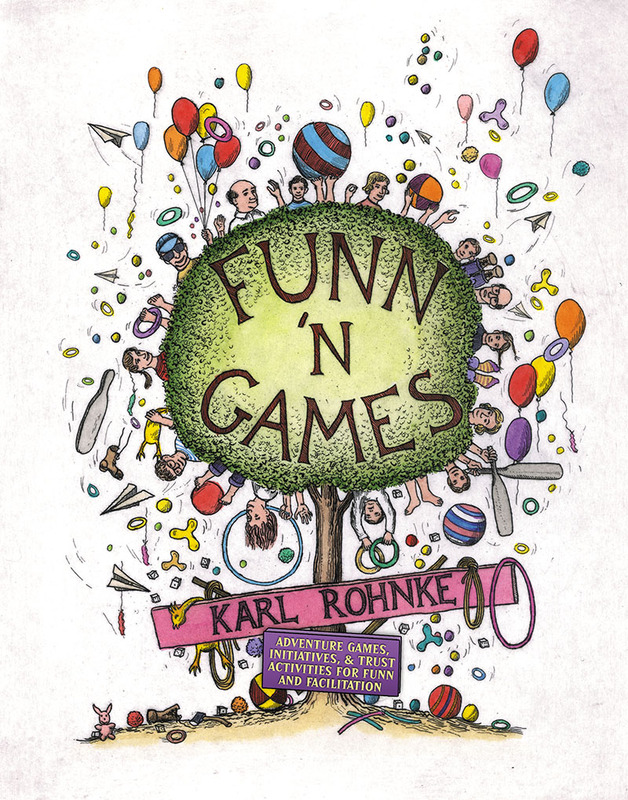 The material in Funn `n Games represents a compilation and embellishment of notes that Karl has collected over the years about games, initiative problems, trust activities, and adventure stunts that he creates, collects, finds, shares, tweaks, and occasionally purloins. The goal has always been to seek curricular adventure where function is an extension of fun. Funn `n Games delivers over 300 pages of ideas, notions, and seeds of serendipity that are about to, or have already become, classics in the field of adventure education. If you want theory, buy one of those ominous, dark spine books with few illustrations and even less hands-on activities. But if you want exciting and immediately useable ideas to implement into your adventure based program RIGHT NOW, and a few laughs along the way, Funn `n Games will soon become your favorite "go to" resource. Karl graduated from Washington & Lee University (Lexington, VA) in 1960. After two drafted years in the U.S. Army, serving as a Medical Technologist, he used that medical training to secure a postion as a Med. Tech at a retirement community in California. This was followed by four years of teaching outdoor education in the Southern California area. Since that time, Karl has been an important "player" in the field of experiential/adventure education. He was a watch officer at Hurricane Island Outward Bound in 1967, and chief instructor at North Carolina Outward Bound until 1971. He left Outward Bound to become one of the founders of the Project Adventure program in Hamilton, MA, and worked there continuously until 1996. During his tenure at PA, he served as director and president of the company. Karl is also one of the founders of The High 5 Adventure Learning Center in Brattleboro, Vermont. Karl has been the recipient of two A.E.E. (Association of Experiential Education) awards: The 1990 Stratton Practitioner's Award, and in 2000, he presented the Kurt Hahn Address at the national A.E.E. convention. Karl has written over 15 books that relate to the field of adventure education, including The Bottomless Bag Revival, Silver Bullets, Quicksilver, and Funn 'n Games. Karl says he's retired but continues to travel worldwide presenting clinics about the use of games and initiative problems as applied to various pedagogic applications. He currently lives in Galena, IL with his wife, Gloree. .